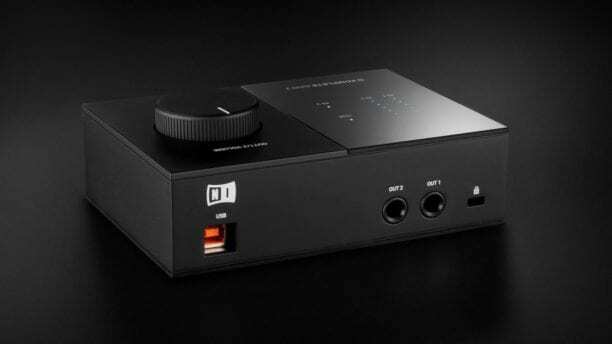 We’ve already seen a ton of announcements from NAMM 2019, but Native Instruments isn’t one to be left behind. The company has taken the wraps off of the new Native Instruments Komplete Audio 1 and Audio 2 audio interfaces, which are the first interfaces from the company since the Komplete 6 was launched in 2011. The interfaces are aimed at being relatively inexpensive, and as such are worth considering for those on a budget. Here’s everything you need to know about the Native Instrument Komplete Audio 1 and Audio 2. First up is the Komplete Audio 1, and while it’s perhaps not quite as comprehensive as some of the other audio interfaces we’ve seen come out of NAMM 2019, it still has a lot to offer. On the front of the interface, you’ll find a XLR input along with a line input for other instruments, and gain knobs for each of them. There’s also a headphone jack and monitoring controls, a phantom power switch, and a switch to change between line and instrument inputs for the 1/4-inch input. Perhaps it’s the top that’s most interesting. The device has a big monitor knob for outputs one and two, along with LED lights on the top indicating gain and whether or not phantom power is on. On the back, you’ll simply get S/PDIF outputs and a USB 2.0 port. We would have liked to see a USB-C port here — the interface is relatively modern in look, it really should have matched that with ports too. 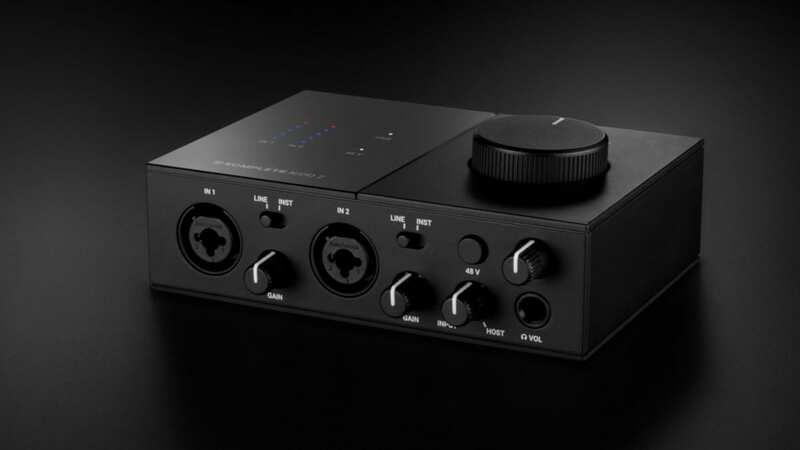 When it comes to internal specs, the interface is capable of recording audio at up to 192kHz and 24 bit, which is pretty much what you’d expect from an audio interface in 2019. According to Native Instruments, the interface will be available for pre-order “soon,” with a price tag of $109, which isn’t bad at all. 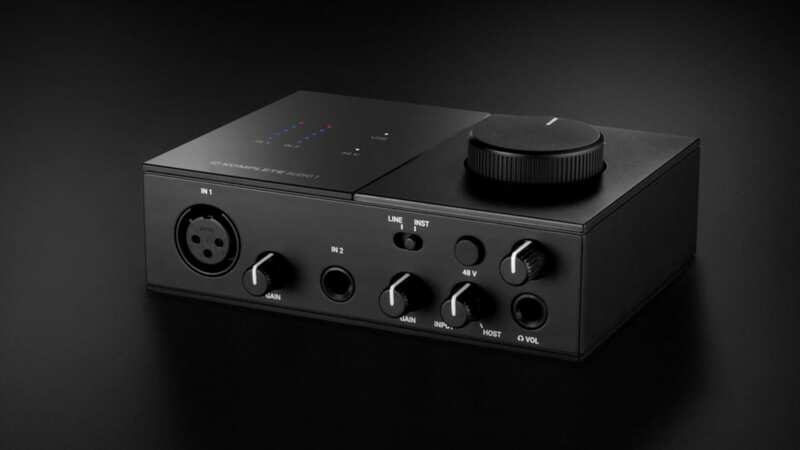 The Native Instruments Komplete Audio 2 is very similar to the Audio 1 except that, as the name suggests, it has two mic preamps instead of one. Both of those are XLR/1/4-inch combo ports, meaning that they should support a wider range of inputs. Apart from that, however, the interface is pretty much identical in both design and features to the Audio 1. It’ll also be available for pre-order “soon,” and will come at $139.